Do you own a car that you need to transport to or from Georgia? Georgia’s breathtaking landscapes, urban areas with numerous job opportunities, and affordable housing make it the perfect place to call home. 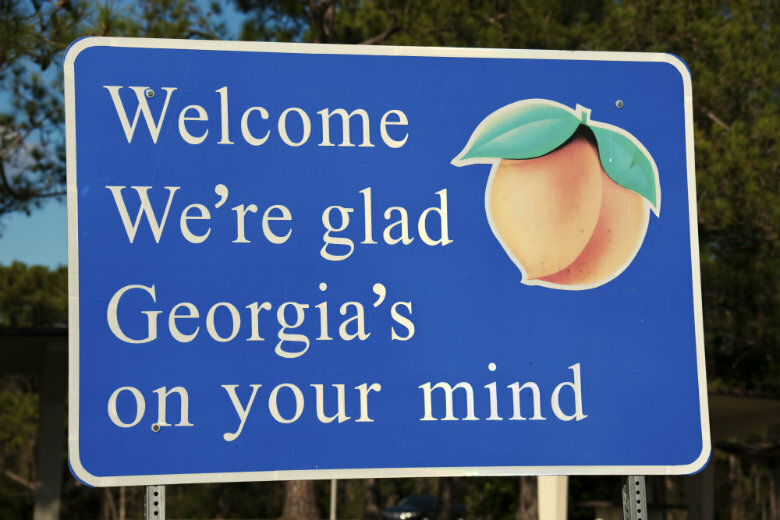 Learn why people are moving from all over the country to the Peach State. Plan your move to Georgia, now. When you are moving to another state, there is a lot that must be done. Remove one item from your To-Do list by leaving the shipping of your vehicle to a professional auto transport company. Auto shipping is a safe, fast, easy, and affordable solution. There are many reasons why you might need car shipping services, other than for a residential move. Maybe, you are relocating for a new job or recently purchased a car online. Whatever the situation is, rely on National Dispatch to get your vehicle safely to its destination. 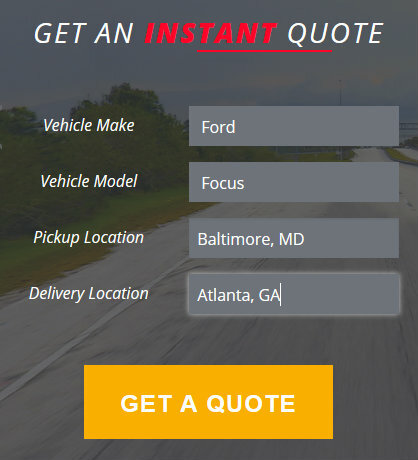 Shipping a car to Georgia all starts by requesting a free car shipping quote. Requesting a quote is simple. Unlike many of our competitors in the industry, we offer a truly instant quote that requires no personal information. There are only 4 fields required to get your free car shipping quote in seconds. You must enter your vehicle make, vehicle model, pickup location, and delivery location. It is that easy. How soon do you need the vehicle delivered? Unfortunately, shipping a car is not quite like getting a delivery from Amazon. It takes time to deliver the car, especially if the vehicle is being transported across the country. We have three shipping options that we offer our customers to meet their unique needs and budget. Each varies in price and delivery time. If you need your car shipped on a short notice, we offer a guaranteed shipping option. What carrier do you want the car shipped in? There are two primary carriers to choose from. You can either choose an open or enclosed auto transport carrier for transport of your vehicle. Open auto shipping: This method of shipping is the most popular, as well as the cheapest. However, due to the construction of the truck, the car will be exposed to a number of road elements. Enclosed auto shipping: This method provides more protection to the vehicle, but it is more expensive. The car will be shielded from all road elements and weather conditions. Read more about our car shipping services. Is the car in good working condition? National Dispatch ships more than just running cars. We can also transport non-running vehicles. Please inform us ahead of time of the condition of your vehicle. This way we can prepare with the appropriate equipment. If you are ready to change things up a bit and move somewhere new, you are not alone. It seems that Atlanta, Georgia’s capital, is a popular destination, since the metropolitan area is home to over 5 million people. Thousands of people move to the city each year. Why should you call Atlanta home? Large. The large size of the city means many advantages to current and future residents. There are a variety of attractions in Atlanta. In addition, there are plenty of job opportunities for recent college graduates and other business professionals moving to the city. Affordable housing. Due to data collected by PayScale, it was concluded that Atlanta’s cost of housing fell below the national average. The cost of living was also less expensive than many other popular cities. Nice weather. Although it may be humid at times, Atlanta has ideal weather conditions. In the summer, the temperatures are typically in the 80s. In the winter, there are no extreme temperatures, perfect for those who dislike harsh winter storms. 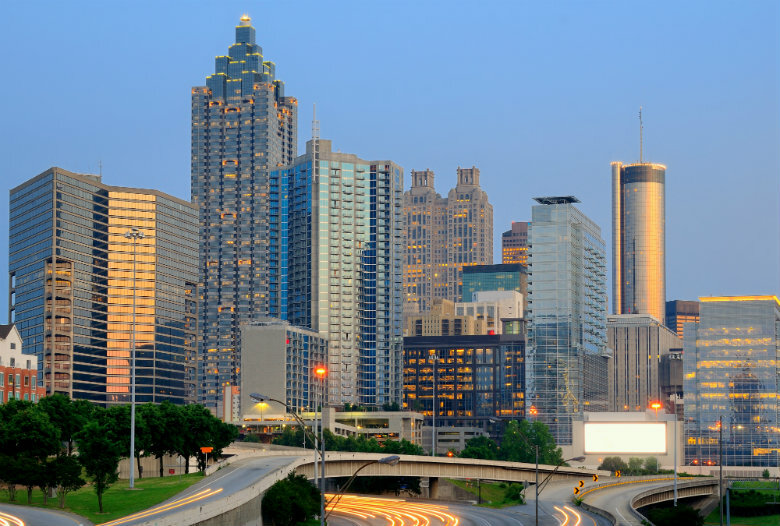 Learn more about moving to Atlanta. Savannah, itself, has a population of over 100,000 people. It may seem much smaller in comparison to Atlanta, but do not let that fool you. Millions of people vacation in the city each year and fall in love with everything it has to offer. Gorgeous views. If water views and moss-covered trees are your thing, then Savannah is definitely a contender on your moving list. Spooky. Do you love history? What about ghost stories? If you research the Most Haunted Cities in the United States, you will find Savannah on that list. Fabulous restaurants. Who doesn’t like tasty food? You will find a variety of cuisine, including seafood options due to its location near the coast. Learn more about moving to Savannah. Looking to call Columbus your forever home? Columbus has a population of over 200,000 people. The median age tends to be in the mid-thirties. However, it is the perfect place for people of all ages. Military presence. Fort Benning is a U.S. Army base, just South of the city. Due to its location, Columbus is home to both active duty and retired military personnel. RiverWalk. Not only does the RiverWalk add to the beautiful scenery of the city, it also plays into how the city came to be. Fountains. Due to the many fountains that are located around the city, Columbus is termed ‘Fountain City’, adding to its beauty and charm. Learn more about moving to Columbus. Augusta is Georgia’s second largest metropolitan area, with over 500,000 people residing in the city. The city draws people, including college students, families, and retirees, from all over the country. Golfer’s paradise. Professional golfers play at Augusta National Golf Club for the Masters Tournament. If you want to watch the athletes, buy tickets to the event. There are numerous other golf courses in the area, as well. Job market. Job hunting can be difficult when moving to a new city. Augusta offers plenty of job opportunities to individuals just moving to the area. Weekend events. There is plenty to do on your weekends off work. You can check out the produce at the local Farmer’s market or attend a concert. Learn more about moving to Augusta. Athens is a great place to visit for a week-long vacation or to settle down permanently. It is about an hour drive from the city of Atlanta and home to over 100,000 people. After making a trip, you are sure to love Athens. Education. Athens is home to the University of Georgia, one of the many universities offered in the state. Nightlife. If you are a night owl, downtown Athens is the spot to be. There a lot of restaurants that you do not want to miss out on. Get in touch with nature. The city is filled with opportunities to enjoy the great outdoors by offering parks, trails, and other spaces. Learn more about moving to Athens. If you are in need of car shipping services to or from Georgia or the surrounding area, request a free, instant car shipping quote. No personal information is required. To contact a car shipping expert by phone, please call us at 800-321-2051.